Can you believe it? Here we are at the last Wednesday in August! Where did the summer go? Also, while I was listing new things on Monday, I forgot to mention that my blog and website have been revamped a bit to make them more integrated. I wish the titles for WYRI, PPBF etc. could be in smaller font, but Blogger won't let you do that, so it is what it is. Otherwise, I feel pretty good about it. What do you guys think? By the way, if anybody out there has Something Chocolate they'd like to share with the group, please feel free to email pictures (and recipes if you have them) as Coleen and Teresa have done recently and I will use them and credit you on Would You Read It! RACHEL with her pitch for The Curse of the Shattered Sceptre! Congratulations, Rachel! Your pitch is on it's way to editor Erin Molta for her thoughts. And congratulations to all our brave pitchers for great story ideas and wonderful pitch revisions. Good luck to all of you with your stories! Today's pitch comes to us from Alicia who says: About me: I am currently a freshman at Wright State University and heading towards a Masters Degree in Middle Childhood Education. Writing is my first and foremost passion, leading me to want to help kids in school achieve their goals through teaching them how to write. I also began writing in middle school, which is exactly why I would like to teach children of that age. The Pitch: Roma Whitewood is charged with treason for trying to protect the only family he has ever known as they are murdered before his eyes at the hands of the King's Royal Army. The country Roma has always called his own, betrays him as his punishment is to be stripped of his citizenship and sent to work in the treacherous labor camps, where he meets Lyra and she opens his eyes to the truths of the world that he had been overlooking his whole life. All of the stories his mother told him as child, that he never even dared to believe, all begin to come true and Roma must face the ultimate decision: be oppressed or join the Uprising with Lyra. There's more to Lyra than she's telling him, but Roma can only put his trust in the hands of the girl who had been by his side every moment in the camps. She was going to escape, or die trying, and Roma was going with her, no matter the outcome. Please send YOUR pitches for the coming weeks! For rules and where to submit, click on this link Would You Read It or on the Would You Read It tab in the bar above. There are openings in September so we could seriously use some new pitches! Send yours for your chance to be read by editor Erin Molta! Chocolate cream pie sounds like a tasty way to begin the day. Yum! As for today's pitch, it did get my attention but meanders a bit. The main gist sounds like: a young man is betrayed by the very royal king's men he trusted. Forced into a labor camp, he befriends Lyra, a young woman who opens his eyes to bitter truths about his country. To tear down the lies and bring the truth to all his people, he and Lyra must first escape, or die trying. That's, at least, my interpretation from what was shared. If the pitch could be tightened, focused o the main points, and some of the longer sentences broken down to strengthen the beat of the read, it would grab a "Yes" from me. Yes - I would read it. Mystery, romance, political intrigue... can't miss. I agree with Angela, a tighter & shorter pitch. But I would def. read it. I'm a definite yes. I would read this. It reminds me of the Matched trilogy - government betrayal, the secrets behind the opression, young people thrown together, labor camps, the uprising... I agree with the former comments. The pitch is clear and complete, but can be tighter. Good luck. I do think I'd read this, it sounds really interesting. But I do agree with the others that it should be tightened up. Janet Reid, (an agent) has a rule for queries, if you can't read a sentence out loud without taking a breath, it's too long. ;) A few of these are too long. I might read this one. I'm not a huge fan of dystopian literature, and I also feel the pitch needs to be tightened and polished. I found myself having to read some sentences more than once to feel the meaning was clear. There certainly is a market for this kind of book, but I am not usually part of it. Loved Eric's sound...it brought me back to music I've always enjoyed! Congrats, Rachel...you had a great pitch...I will look forward to seeing that story in print! Today's story also grabs my attention...I agree with the others that the pitch needs to be shorter and tighter...and for me, 'Roma' makes me think it is a girl's name (because of the 'a' at the end)...maybe 'Rom' as the more masculine form would sound better...just a thought. :) Wonderful story concept - I would definitely read it! I think I might need to make chocolate cream pie this week...or make chocolate PB pie again...mmmmm! I think Alicia's pitch is very exciting, though a bit long (like the others mentioned). I think Angela Brown did a great job condensing it to its essential elements. I would definitely take her advice but maybe just add a thing or two that makes it slightly less clinical (such as Roma's name!). Good luck with the edits! Thanks for the reminder about Eric's music...heading there now (since I'm in town!). Congrats, Rachel, and good luck submitting! Betrayed by his country, Roma Whitewood is tried for treason and sent to work in the treacherous labor camps. All of the stories his mother told him as child, that he never dared to believe, come true and Roma must face the ultimate decision: be oppressed or join the Uprising with Lyra. There's more to Lyra than she reveals, but Roma needs put his trust in the hands of the girl who had been by his side every moment in the camps. They must escape, or die trying, no matter the outcome. The title is exciting! Unfortunately, I probably wouldn't read the first page, because I was distracted by the sentence structure and punctuation errors in the pitch (sorry, Alicia!) The GOOD news is the story does sound exciting. By tightening up the pitch so it represents the high quality of writing in your book, you'll have a pitch ready to earn a read! The pie was delectable! I'm so glad I can reload and have piece after piece! I love dystopiann, so I am intrigued by your pitch. But, I have to agree with Lauri Meyers. If you want to come across as a skilled writer, work on your sentence structure and punctuation. It sounds like you're skilled at story telling and very creative! Get your pitch in shape grammatically, and I think all dystopian fans will want to read your book. Yes! I eat it every day!! I love the sfuff. Mr Edwards is the best though and that doesn't look like it. but hey! If it's got chocolate, I'll eat it. ha ha. Aside from grammatical errors and stuff, the pitch is too long. An agent wouldn't even start reading it seeing all that text. You have one sentence to hook em. Can you make a twitter pitch for practice? As it is , I"m sorry I could't decide what the hook was so didn't get one started for you. sorry. I like the title and what I gleamed from the pitch. Don't want to repeat what others have suggested. But, it needs to be shorter, and tight. You don't need to tell the whole story in the pitch. Enjoyed Erik's site. Didn't realize the Hill family was so talented. I love when a family sings together and the fact your kids were involved. Your daughter's voice is lovely. I would read the book. It sounds very exciting and I like the dystopian/historical feel to it! I agree with people who say it is a bit long. I would like to thank all of you for your feedback. I really appreciate it. Summarizing and pitches were never my strong point, so it's nice to see such helpful advice on how I can improve. This pitch in particular was not my best, I know, but I really needed some advice on how to present my book. I'm still a student, so don't worry! I'll definitely polish all of the rough edges before I try to take it further. Thank you again, both the advice and interest. You don't even know how much it means to me. Also, I would like to thank the amazing, wonderful Susanna for taking the time to post my pitch. It's helped me so much and has really motivated me to finish the book. What you do on this blog is such an inspiration and it's really touched me, how much you reach out to aspiring writers. Good luck on cleaning your office and I hope everything goes well for you. Thanks again! Mm, that cake looks good, and congrats, Rachel! Once again, I'm late chiming in, and it sounds like my thoughts are already stated by others. My immediate reaction was that the story sounded exciting, and full of adventure, but the pitch was too long. Can you boil the story down to the heart of its essence in about three sentences? One suggested route for these sentences is: the first--hook the reader, the second--the plot, the third--how your character changes/evolves or how the theme of your story is shown. Again, this is just one route you can take, so if it doesn't work for you, try something else. As an aside, wow! A freshman in college--that's ambitious. I taught 6th grade Language Arts, and I loved it. The only way I felt I could really teach my students how to write was to write myself, so that's when I started writing. You're already ahead of the game--your future students will be lucky. Good luck to you! 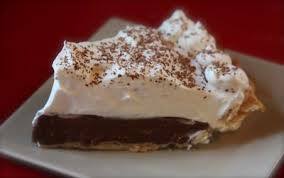 Yum, chocolate cream pie, my fave! The new integrated blog/website look good, congrats! :) And I'm sitting here enjoying Eric's music, what a great voice. Thanks so much for your very helpful thoughts for Alicia, Pam! I agree - she's admirably ambitious! Apparently I got lost in my office and didn't see this til now :) YOu are so welcome, Alicia! I'm glad if this has been helpful to you. And it's really all our wonderful readers you have to thank - they are so helpful and generous with their time, comments and expertise! Thank YOU for being brave enough to put your pitch out there for everyone to learn from!